A useful stepwise approach to diagnosis and initial treatment has been developed in collaboration between GINA & GOLD. The approach is available on teaching slides (Box 5-4). Image presented with permissions from GINA & GOLD. This sheet can also be downloaded here. 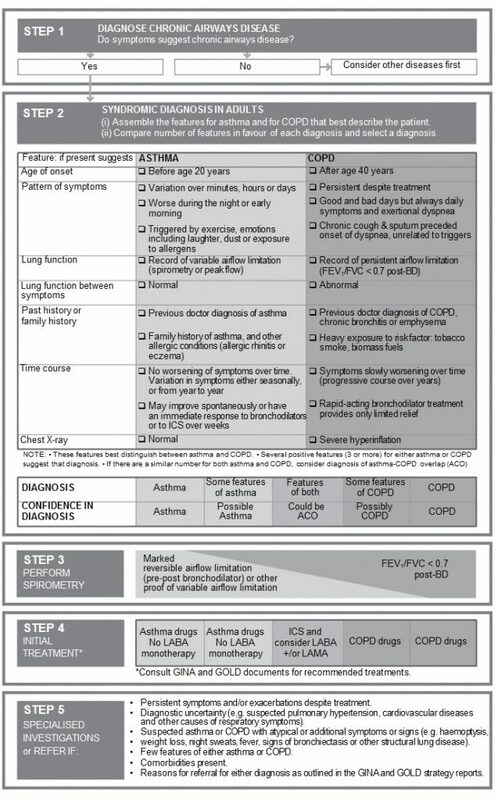 There is little high-quality evidence to guide clinicians in treating patients with suspected COPD-asthma overlap. Use of long acting beta agonists (LABAs) without inhaled corticosteroids is recommended as first line therapy in COPD (COPD-X Guidelines 2017), but should be avoided in patients with co-existent asthma due to potential harm (GINA 2017). Long acting muscarinic antagonists (LAMAs) are an option in this patient population, given that there is evidence for their use in patients with COPD (COPD-X Guidelines 2017) and in patients with severe asthma (GINA 2017). Pulmonary rehabilitation in symptomatic patients with COPD reduces exacerbations and improves exercise capacity and quality of life (COPD-X Guidelines 2017). 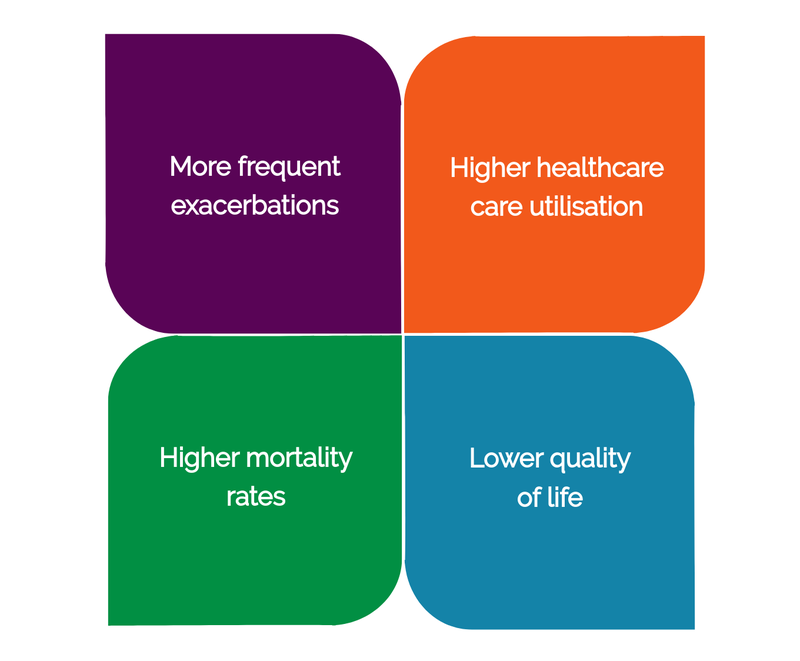 Whilst this intervention has not been well studied in patients with COPD and co-existent asthma, we suggest that symptomatic patients with impaired lung function due to with COPD and co-existent asthma should be considered for pulmonary rehabilitation. In patients with severe allergic asthma and coexistent COPD, omalizumab the anti-IgE monoclonal antibody, has been found to improve asthma control and quality of life (Maltby et al. 2017).